This week my stash is going in the wrong direction, with only a couple of additions and no finishes! 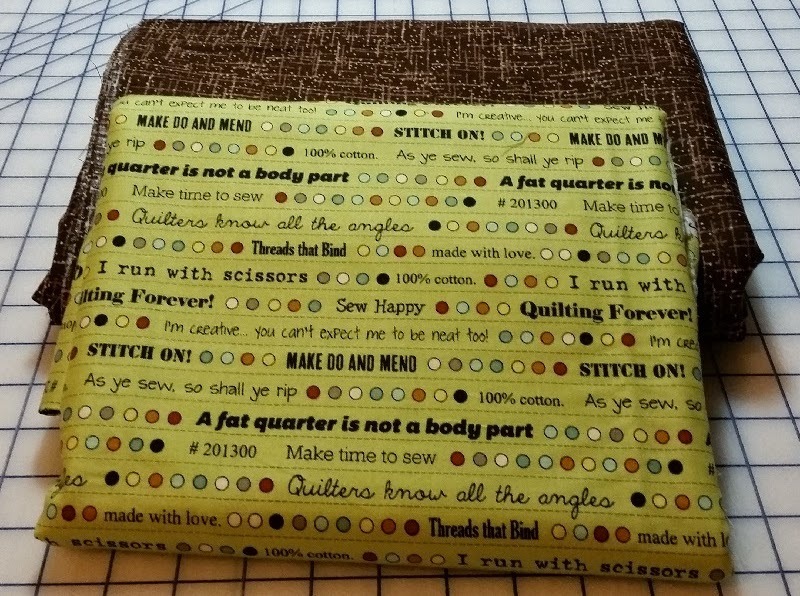 The brown fabric below, was purchased at Cozy Quilts, as a backing for my Pfeffernuse quilt, which is now on the floor waiting to be sewn into rows. The green was just a great piece to add to my stash for a future project. 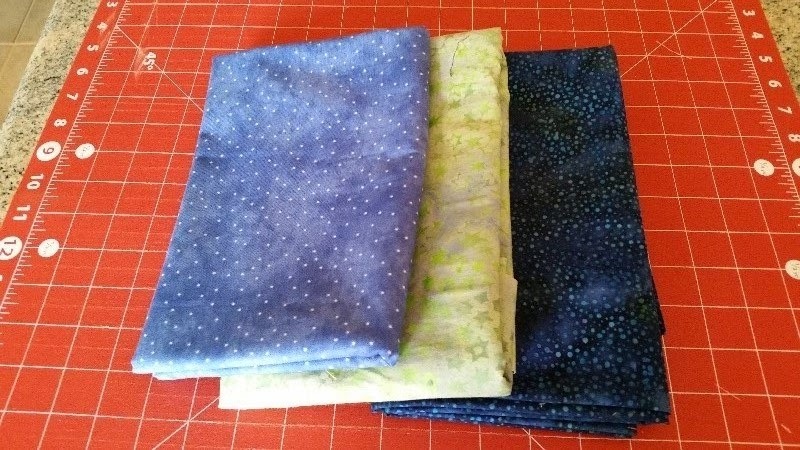 I also added the blues and green from Memory Lane Quilt Shop, for Bonnie Hunter's Scrap Crystal quilt which I started in a workshop last week. 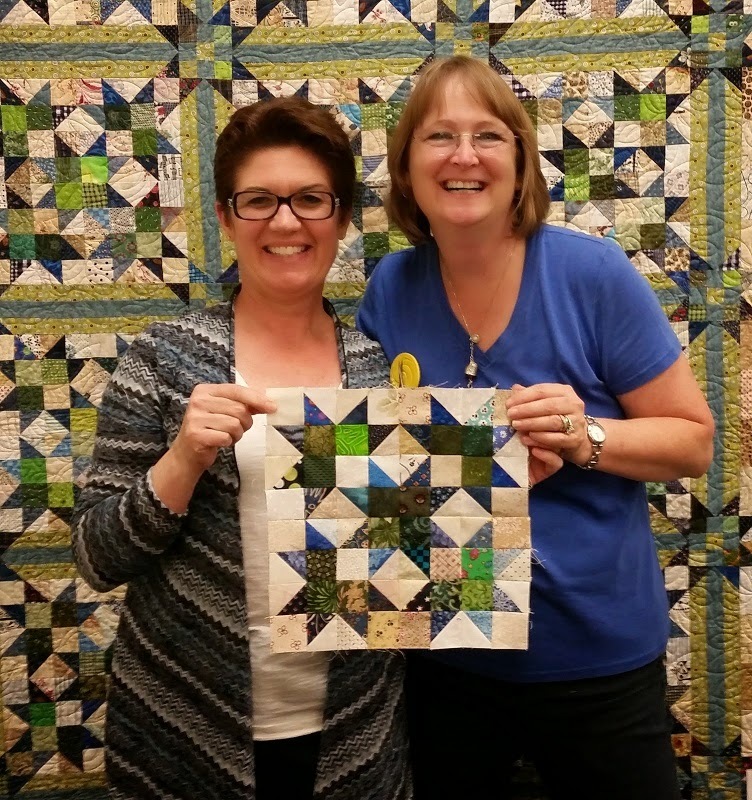 I was lucky enough to take two workshops with Bonnie last week. The other one was Winston Ways. Both are from her new book, More Adventures with Leaders and Enders. Bonnie and I with my Scrap Crystal Block. Here are the updated number. Hope to have a few finishes by the end of the month! Purchased this week: 10.5 yards. Net Fabric used in 2014: 25.0 yards. Hope you are doing better than I am! Check out all the other reports at Patchwork Times. Sometimes you have to purchase a little fabric, especially for backs. I bought some last week. Have a great week!